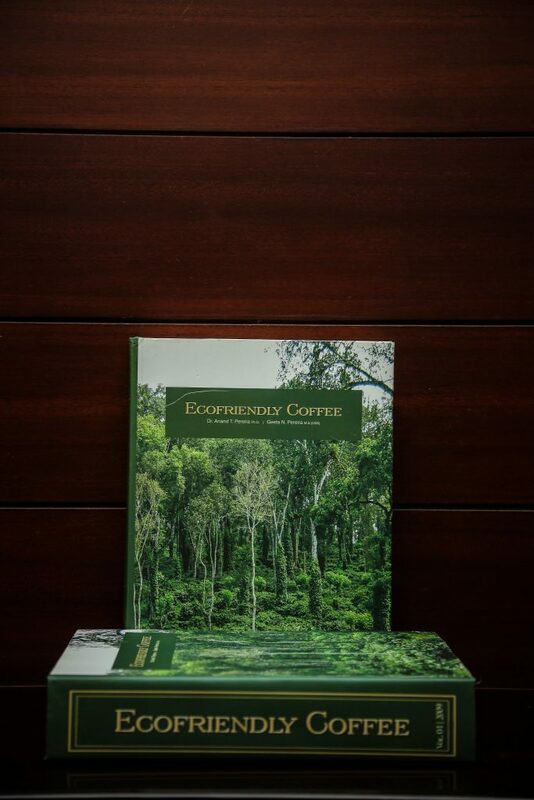 We are happy to inform you that we have published a 600 page book titled “ECOFRIENDLY COFFEE “. The book is beautifully illustrated with pictures and flow charts. It covers the flora and fauna of the Western Ghats in relation to coffee plantations. 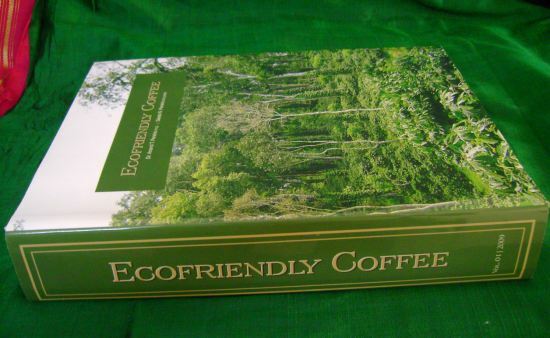 As a treatise on ecofriendly shade grown coffee, this book (Volume-1) has three directions of special emphasis. First, to develop the coffee farmers reliance on the working knowledge of Horticulture, Botany, Zoology, Microbiology, sprinkler technology and allied sciences in understanding the basis of growing economically sound and ecologically safe coffee. Second, to help connoisseurs of coffee worldwide; appreciate the significance of shade grown coffee and its positive impact on the ecology; and third, to reorganize the subject to make it more nearly representative of modern science in the laboratory and in the field for students from various disciplines of science. We have worked on Coffee Plantation Ecology for the past twenty five years and have applied our knowledge gained at the University to the field (Lab to Land). 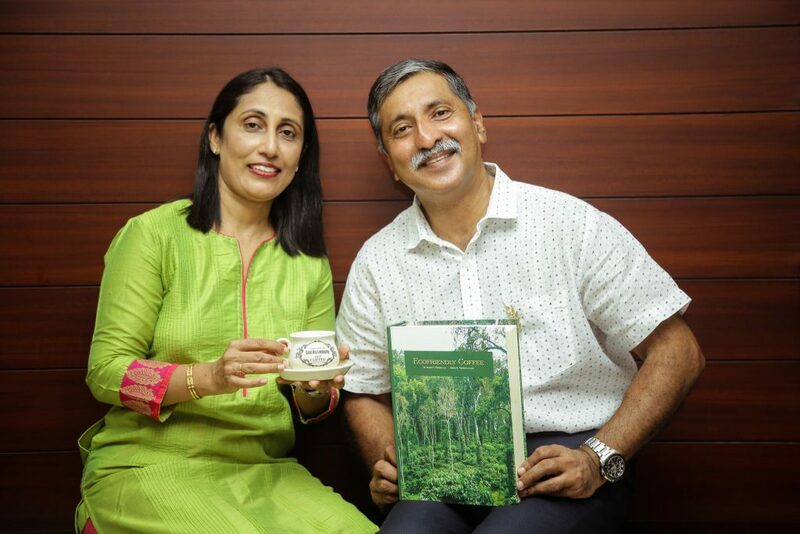 Based on our scientific background and field experience we have written articles pertaining to shade grown ecofriendly Indian coffee in a manner that is easily understood by students , Researchers and Coffee Planter’s. It has been our endeavor that these series of articles on shade and sustainable coffee will form a permanent library of knowledge on every aspect of shade coffee. This series proposes to cover various aspect of growing coffee and will deal with its geography, ecology, botany, microbiology, biotechnology, biodiversity, irrigation and fertilizers and also the prevailing culture in Coffee County. We have worked diligently on sustainable technologies for the past 25 years and have come out with various ecofriendly technologies which are of great benefit to researchers and university libraries. Over the years the farm has been a model for both Foreign and Indian farmers. We have successfully adopted high end sprinkler technologies and have developed state of the art rain gun sprinkler systems with the help of Israel and Italian technology. The model farm consists of multiple crops like Coffee, Areca nut, Pepper, Banana, Ginger, orange and rice. Special importance is given to soil health in relation to microorganisms. Every year thousands of farmers and Planters visit the farm to see firsthand the working of various technologies.